Encapsulated in an elegant glass flacon with a sleek wooden top, Dolce & Gabbanaâ€™s The One For Men Eau de Toilette is a fragrance of elegance and sensuality. Classic with modern touches, vibrant and engaging, The One unleashes fresh, herby notes which develops into a spicy aroma reminiscent of an Oriental market before settling on woody undertones. Charismatic, elegant, seductive and a match for the modern man that never passes by unnoticed. 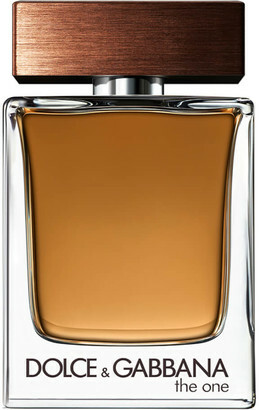 Top Notes: Grapefruit, Coriander, Basil. Heart Notes: Ginger, Cardamom, Sweet Orange Blossom. Base Notes: Tobacco, Amber, Cedarwood.